This edited book sets out and engages with some of the key policies, practices and paradigms of external intervention in the case of state support and reconstruction. Many assumptions about statebuilding have been reconsidered in the wake of Iraq, and ongoing problems in other states such as Afghanistan, Bosnia and Kosovo. 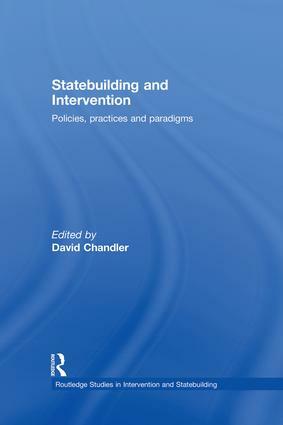 Rather than being a regional survey or a policy-orientated ‘lessons learned’ book, this collection explores the broader framing of policy goals, statebuilding practices and the consensus on the need for Western states and international institutions to be engaged in this policy area. The volume is divided into three parts: the first engages with some of the key policy frameworks and conceptual issues raised by recent statebuilding interventions; the second considers core statebuilding practices; and the third reconsiders statebuilding paradigms more broadly. The essays open up debate and critical discussion in the field at a time when many advocates of extending statebuilding intervention suggest that the complex nature of the problems of non-Western states and societies mean that it will inevitably be contradictory and limited in its results.